Welcome to PUO REPORTS Special Introductory presentation of the various candidates of the Peoples Democratic Party and the All Progressives Congress in Rivers State National and State Assembly re-run elections. ANDREW IGBONULE UCHENDU was born more than sixty two years ago to the Royal family of Uchendu Osi in Mgbuitanwo, Emohua. He obtained his First School leaving Certificate in 1962, West African School Certificate (Grade one) in 1971 and attended the Hope Waddell Training Institute, Calabar, where he acquired his Higher School Certificate (HSC) in 1973. In 1973, he was admitted into the prestigious University of Ibadan, where he graduated with B. Sc (Hons) Second Class (Upper Division) in Agricultural Economics. He worked in so many Organizations including the Rivers State Ministry of Commerce and Industry, Nigerian Agricultural and Cooperative Bank Ltd, Kaduna and the Niger Delta Basin Development Authority. In 1985, he applied to be the Secretary to the Board of Risonpalm Ltd. After a very rigorous interview, he was appointed the General Manager/Chief Executive Officer in March, 1985. In 1989, based upon his performance, he was elevated to the position of Managing Director/Chief Executive Officer, and thus became the first Managing Director of a Rivers State-owned Company. During his tenure in Risonpalm, the Company made profits in seven consecutive years. In consideration of this excellent performance, the Federal Government conferred on him the 1992 National Productivity Merit Award. This award is the highest honour that can be conferred on any Worker in the Public Service in Nigeria.. Andrew Uchendu disengaged from the services of Risonpalm in September, 1993.. In 1994, the Ogbakor Ikwerre Cultural Organization drafted him into politics, thus becoming the first Ikwerre man to be so honoured by his people. He represented Emohua, Ikwerre and Obio/Akpor LGAs in the 1994/1995 National Constitutional Conference. He fought with other Compatriots in Ikwerre to ensure that the Ikwerre Ethnic Nationality was not split into two separate proposed States during the Conference. He has since then been in active politics. From 2003 to date, he represented the Ikwerre/Emohua Federal Constituency. He is now the APC Flag bearer for the Rivers East Senatorial District for the 2015 General Elections. During his tenure as a Member of the House of Representatives, Hon. Andrew Uchendu moved about six motions namely, Ogbakiri crises, Rehabilitation of the East/West Expressway, the Establishment of the Oloibiri Oil Museum, Youth Unemployment and Youth Restiveness in Nigeria, Insecurity in the Niger Delta and the invasion of the Rivers State House of Assembly by Hoodlums. This last motion led to the take-over of the Legislative functions of the House by the National Assembly. It is worthy of note to mention that the resolution taken by the House on the crises stemmed the imminent mayhem and bloodletting that would have taken place. He sponsored three fundamental Bills in the House. They are: the Standard Tendering Procedure for the Award of Contracts in the Public Service, (popularly known as Due Process), the National Youth Development Programme and the Amendment to the Petroleum Technology Development Fund Act. In 2007 – 2011 he served as the Chairman of the South-South Parliamentary Caucus and is presently the Chairman, House Committee on Public Service Matters. Water projects at Oduoha-Ogbakiri, Rumuche-Emohua, Ovogo and Rumuodogo II in Odegu. National Skills Acquisition Centre at Elele. Youth Development Centre at Emohua. Solar Street Light at Mgbuitanwo, Emohua. Community Computer Centre at Ndele and Emohua. Distribution of Secondary School furniture and books for Emohua and Ubima. Distribution of Transformers for Mgbuetor, Rumuche, Elele, Isiokpo, Aluu and Elele Army Barracks. Community Town Hall at Aluu. Scrap Metal Melting Plant at Emohua. Influenced the Construction of Mgbuitanwo General Hospital, Mgbuetor Road. Influenced the Construction of the East/West-Elibrada-Oduoha-East/West Road. Financial support to 300 indigent Citizens of my Constituency. From his personal savings, he embarked on the award of bursaries to indigent students in the Tertiary institutions in his Constituency. In the first phase, he had 64 Beneficiaries, two in each ward of the Ikwerre/Emohua Federal Constituency. In the second phase, he extended the Bursary to about 140 Beneficiaries, 5 students per ward in his Federal Constituency. Already, payment for the first year has been completed. In addition, he has facilitated the employment of over 15 Constituents into the Federal Public Service and Parastatals. During the period, Rt. Hon. 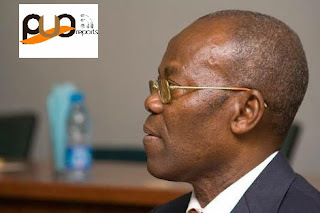 Andrew Uchendu was in the service of Risonpalm Ltd, he obtained the Masters of Business Administration (MBA) in Management from the University of Port Harcourt in 1987. And in the course of his years in the House of Representatives, he attended a number of Leadership Development Programs at the Universities of Florida, Oxford and Harvard in the United States of America. As a grass roots Politician, Uchendu is always in touch with his people. He is an active member of his Age Group, Ikwerre Development Association (IDA) and Ogbakor Ikwerre Cultural Organization. As a result of his services to the Community, he was conferred with the Chieftaincy Title of Ochi Aliri II of Emohua and only recently, he was initiated into (Ohna), the highest Traditional Council in Emohua Kingdom. It is in consideration of all these that Rt. (Hon.) Andrew Uchendu was conferred with yet another Honour in 2008, the Officer of the Order of the Niger (OON).
. HON. ANDREW IGBONULE UCHENDU was a 1992 recipient of the Federal Government National Productivity Merit Award, the highest honour that can be conferred on any worker in the public service in Nigeria, he was in 1994 drafted into politics by the Ogbakor Ikwerre Cultural Organisation. He represented Emohua, Ikwerre and Obio/Akpor LGAs at the 1994/1995 National Constitutional Conference. One of the best members of the House of Representatives, Hon. Uchendu has moved six crucial motions. These include the motions on Ogbakiri crises, Rehabilitation of the East/West Expressway, Establishment of the Oloibiri Oil Museum, Youth Unemployment and Youth Restiveness in Nigeria, Insecurity in the Niger Delta, and the Invasion of the Rivers State House of Assembly by Hoodlums. He has, in addition, sponsored three fundamental Bills in the House. They are the Standard Tendering Procedure for the Award of Contracts in the Public Service (popularly known as Due Process), the National Youth Development Programme, and the Amendment to the Petroleum Technology Development Fund Act. During the March 28 National Assembly elections, Hon Andrew Uchendu was the Senatorial candidate of the All Progressives Congress for Rivers East Senatorial District but lost to the Candidate of the Peoples Democratic Party, he thereafter proceeded to the Rivers State election petition tribunal to challenge the result of the Poll.